Where does time go? From my perspective, this year was somewhat of a whirlwind. It was busy, exhilarating and somewhat challenging as we tried to keep pace with everything we set out to do for all of you. 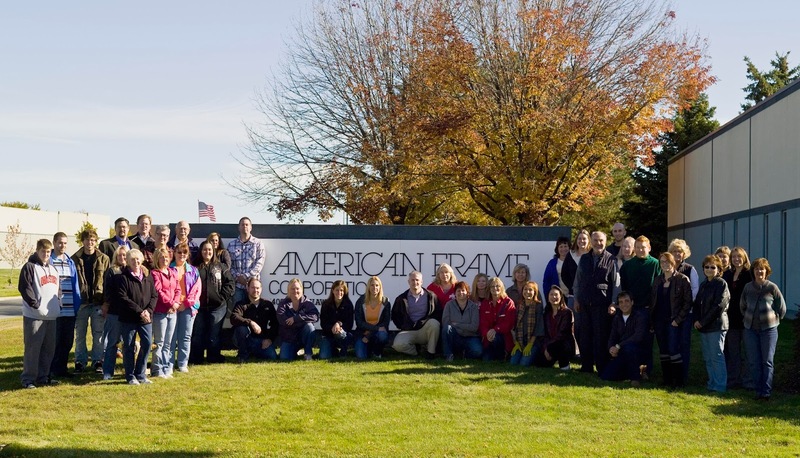 As the spokesperson for our family and our company, I want to thank you wholeheartedly for your relationship with American Frame, whether you are a long time customer, a new customer, or a frequent visitor to our site simply to learn. A strong company is built one person at a time, over a long period of time and we are so grateful for your friendship, patronage and loyalty. 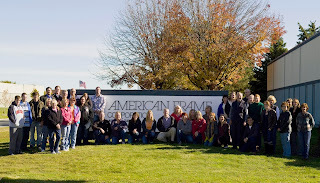 As many of you already know, American Frame was an idea conceived by my dad, Ron Mickel, back in 1973. It started in our family garage and quickly caught nationally, igniting the DIY picture frame industry. He democratized custom picture framing, making it easy, accessible and affordable for people to frame their own work. Since that time, we’ve been privileged to service literally hundreds of thousands of customers and are honored to continue in service to you. The year was launched with a litany of exciting sales to thank you for your support and entice you into either giving us a try, or stocking up on old favorite materials on which you’ve come to rely. We are ending it with the launch of our new website which will begin on Thursday evening, Dec 26. It’s the result of two years of rethinking the online picture framing experience from start to finish, with your input as our guide. Many of you have previewed it and placed your holiday orders here. As always, your feedback has been invaluable be it positive, negative or constructive. In between, we produced a legacy video that tells our story from beginning to the present day featuring the star of our show, Dad. I couldn’t believe I got him on camera as he is a very private man, but he was amazing. With his company turning 40 and he at 80, he is a testament to what can be accomplished with hard work, persistence and commitment to a vision. It’s an important story and in these days of transparency, I felt it was the best way to share the heritage of American Frame. I like to know who I buy from and assume you feel the same. Like any family, we also had some personal challenges to overcome to keep this year on track. In February, I suffered a severe back injury, (wiping down a bathroom of all things), and was sidelined for about 4 months. Hopefully no one noticed. As soon as I started feeling better, my brother, Matt, our photographer/videographer, was experiencing severe headaches and tinnitus in his left ear. What the doctors found was downright scary: a type of brain tumor, an acoustic neuroma right on his 8th cranial nerve which put his hearing, balance and facial coordination in jeopardy. Thank God for the Cleveland Clinic! They radiated his tumor without surgery and without damaging any surrounding healthy tissue. Now he is fine and even more energized than ever! Stay tuned for all kinds of fresh tutorials and new product launching soon. So we all have our journeys and we all have our stories. Over the course of the last 40 years we’ve learned that in business as in life, it is important to keep moving forward, to stay true to one’s passions and dreams as much as possible, to not be stymied by crisis or hardship and to remember that we are at our best when we operate in service, to others, to our families and to our chosen craft.